The 2018 budget was to consolidate the achievements of 2017. It was on the theme, “Putting Ghana Back to Work” through investing in (i) Human Capital, (ii) Strategic Infrastructure, (iii) Agriculture and (iv) Agribusiness, (v) Entrepreneurship and (vi) Innovation Programs. However, it must be acknowledged that none of these areas mentioned above received the needed attention from Government. We believe that before reviewing the performance of the economy, there is the need to review the performance of the government on the basis of the promises for which it got the mandate to govern. Key among them are the One District One Factory (1DIF), One Village One Dam and Free SHS. The 1D1F policy is obviously facing implementation challenges and could fail. It is sad that 18 months into the NPP government’s 48 months mandate, nothing significant has happened with this policy. After missing the target of 51 factories by the end of 2017, a new target of 69 factories by the end of 2018 was set in January 2018. This was after the Minister of Trade and Industry, Mr. Alan Kyerematen in November 2017 told Ghanaians that 192 proposals had been approved to start work. We are not surprised that the policy is still at the business proposal review and approval stage. This was confirmed by Mr. Alan Kyerematen in June when he told parliament that “over 700 proposals had been received by the Ministry of Trade and Industry. Out of this figure, 329 had been screened and recommended to financial institutions for support for the implementation of these projects”. It is shocking that a policy which is supposed to be driven by the private sector or public private partnerships (PPP) if the need be, is expected to be implemented successfully when there is no legal framework for regulating PPP arrangements as the PPP bill is yet to be passed into law. Clearly, investors or financial institutions should be hesitant to commit their resources into an arrangement with uncertain legal environment. Another policy which is in limbo is the one village one dam policy. Analysis of statements in the 2017 and 2018 budgets suggest that, the dams may not necessarily be new but will include the rehabilitation of existing ones. The Minister for Finance said in the 2018 budget that 192 small dams and dugouts in 64 districts were identified for development under the ‘One-Village-One Dam’ initiative. However, the Vice President, who is the head of the Economic Management team in March this year disclosed how government intends to construct 570 dams this year in the three regions of the north. While progress on the implementation of this policy is not encouraging, it is important that the finance minister gives an account of progress so far on the 570 dams earmarked for completion this year. We also need to know the number of villages’ government intends to cover by the end of its tenure in order to ascertain the success or failure of the policy. The Free SHS initiative is the brain child of the PPP, therefore the party is keenly monitoring its implementation. 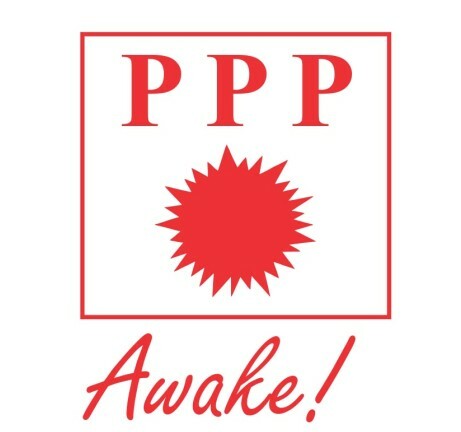 Though the programme commenced in September 2017 with first year students in public Senior High Schools and Technical and Vocational Institutions, the PPP is disappointed with the mode of implementation. Contrary to the impression created by the then candidate Nana Addo that all levels will enjoy free education under the policy, it started with only first year students and excluded those already enrolled in the second cycle institutions. Another disappointment is that, government is yet to establish a sustainable source of funding for the policy. Aside the funding issues, government is paying lip service to the huge infrastructure gap in the schools. Also, government is yet to develop or expand at least the public tertiary institutions to absorb students from SHS level. On a whole, government has failed to deliver on its key electoral promises to expectation and must work to redeem itself. Estimates from the Ghana Statistical Services showed that the economy grew by 8.5% in 2017 as against 3.6% in 2016. This significant improvement was driven by the industry sector’s performance (especially the oil and gas subsector), increased prices of key commodity exports, especially gold and crude oil. Generally, 2017 ended on a high note in terms of most economic indicators. For instance, monetary policy rate fell by 550 basis points to 20% by December 2017 while inflation decreased from 15.4% in December 2016 to 11.80% in December 2017. It is also important to recognize that growth in 2017 was driven by the oil sector. Given that less than 5% of the Ghanaian workforce is in the oil industry, it is erroneous to think that the growth is inclusive. The larger segment of the Ghanaian society has not seen their incomes increased while inflation, weak cedi and high cost of fuel continue to reduce their purchasing power. While the growth momentum of 2017 appears to have continued into 2018, the fundamentals of the economy remain weak. Inadequate domestic revenue mobilization efforts remain a major threat to sustainable growth and development. The 2018 budget projected a growth rate of 6.8% and a fiscal deficit of 4.5%. However, currency instability, high public debt stock, high cost of borrowing, inflation, and corruption could jeopardize the attainment of these goals. The cedi enjoyed some level of stability against the major trading currencies especially in the first half of 2018. This was due to inflows largely from investors who invested in government’s longer dated instruments. This means that, anytime there are opportunities for higher profits elsewhere, the Cedi is bound to depreciate. Between May 21st 2018 and 13th July 2018, the Cedi had lost 6.08%, 4.47% and 5.24% of its value against the US Dollar, the Pound and the Euro respectively. While this can be attributed to the demand from investors who are withdrawing their investments for high profits elsewhere, the larger responsibility should be on government inadequate measures to stabilize the value of the local currency. These movable inflows cannot be relied upon to support the value of the Cedi. Nana Addo has articulated the challenges with our economy and even christened it the Guggisburg economy. Yet his administration has done nothing to reduce the food imports into Ghana amounting to over USD2.4billion a year. We demand real, practical and workable solutions to save our cedi and not just talk, talk and talk while the nation suffers from a devalued currency and high prices of foodstuffs. Since Nana Addo took office as the President of the country, fuel prices have gone up by 24% as against 21% increment in the minimum wage. Borrowing to fill the gap too is not an option because of high interest rates. How can anyone expect things to be better for Ghanaians? Statistics from the Bank of Ghana, shows that the country’s debt stock stood at GH¢154 billion as at May 2018 as against GH¢142.5 billion in December 2017. This means that about GH¢11.5 billion has been added this year alone. Within 17 months, Ghana’s debt stock grew by 21%. The rate of debt accumulation is worrying and requires immediate government attention. The difficulties related to revenue administration, tax base coverage and challenges with the property rate administration should be addressed if sustainable growth is to be achieved. Solutions to these problems should be comprehensive and should include the implementation of the NIA to help the efficient administration of property ownership and revenue collection. It should also include capacity building for Metropolitan, Municipal and District Assemblies (MMDAs) to increase their expertise in property rate collection and the election of same. We have heard the news about the intention of Government to increase VAT. The PPP wishes to advise Government to first reduce the waste in the system by reducing the size of Government, cancel the Zoomlion contracts inherited from the NDC and retrieve all the GYEEDA SADA monies. We call on Government to address the general infrastructure gap of the economy. The challenges the country’s infrastructure deficit poses to the development of the economy cannot be underestimated and it needs huge investments to address. There are too many bad roads in the country which is affecting movement of goods and services to increase economic activity. Also, government should show commitment in addressing the issue of inadequate health facilities and housing among others to improve the life of Ghanaians. From where we sit there has been no major improvement in the economy and things may get worse. Comparing today’s situation to NDC’s yesterday is an exercise in mediocrity or an admission of failure.